“Talks with China are going very well,” President Trump said at the end of a White House news conference with Brazilian President Jair Bolsonaro. Washington and Beijing have slapped import duties on hundreds of billions of dollars’ worth of each other’s products in their dispute, raising costs, roiling financial markets, shrinking U.S. farm exports and disrupting manufacturing supply chains. 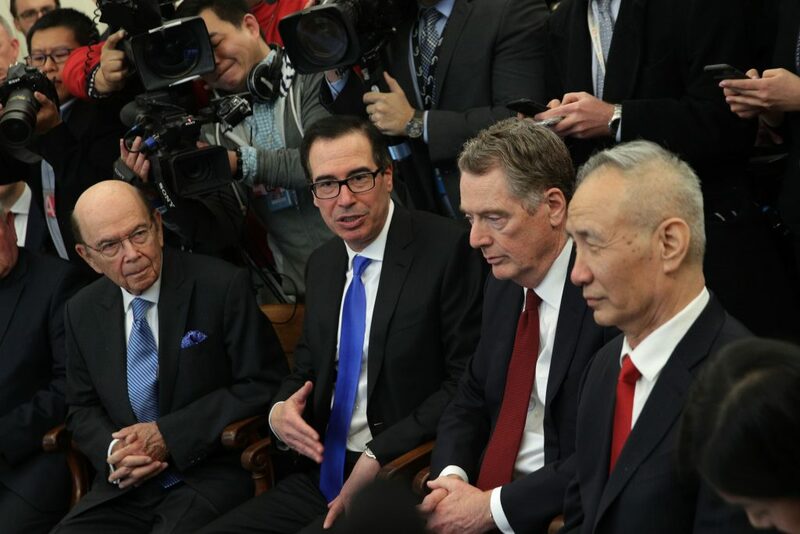 But Chinese officials have sought an immediate end to the tariffs that President Trump has imposed on about $250 billion worth of Chinese imports. Trump administration officials have not specified any plans for rolling back such duties.